In this post: cows vs. people, yerba mate, and Uruguay travel resources from general information about life on the island to list of hospitals to utilities and everything in between. Uruguay, hmm?… Ask a random person to show it on a map. I bet you would have some fun. Wait, you might have even “better” luck with Montevideo, the country’s capital. Uruguay remains one of the best kept secrets of modern travel. Brazilians and Argentinians discovered it a long time ago. For decades, it happened to be their top summer (ahem, winter (we are talking South America here, right?) destination. Regardless of the season, it stays in the shadow of bigger neighbors to the rest of the world for no reason. Let’s break this tradition, shall we? What makes this notoriously flat country worth a visit? Anecdotally, cows outnumber people two-to-one in Uruguay, which is famous for its high quality beef. The national drink, Yerba Mate, is an herbal infusion traditionally drunk from gourds through silver straws. Uruguay was the first country in the modern era to legalize cannabis in December 2013. Even the hardest to please architecture buff would be impressed with art nouveau and art deco masterpieces of Montevideo, the Uruguayan capital. Incidentally, it is also the home of one of the longest esplanades in the world. The Rambla of Montevideo (La Rambla de Montevideo) is over 22 km long promenade stretching along the coastal line of the Uruguayan capital. Last but not least, the street art is astonishing there. We spent 3 months in Uruguay. We lived in Montevideo and fell in love with this beautiful city. Here we have a few helpful links to make your visit to this South American country less stressful. BTW, if you know any other useful resources, drop us a note or comment below. We will review and add them here too. Happy travels! 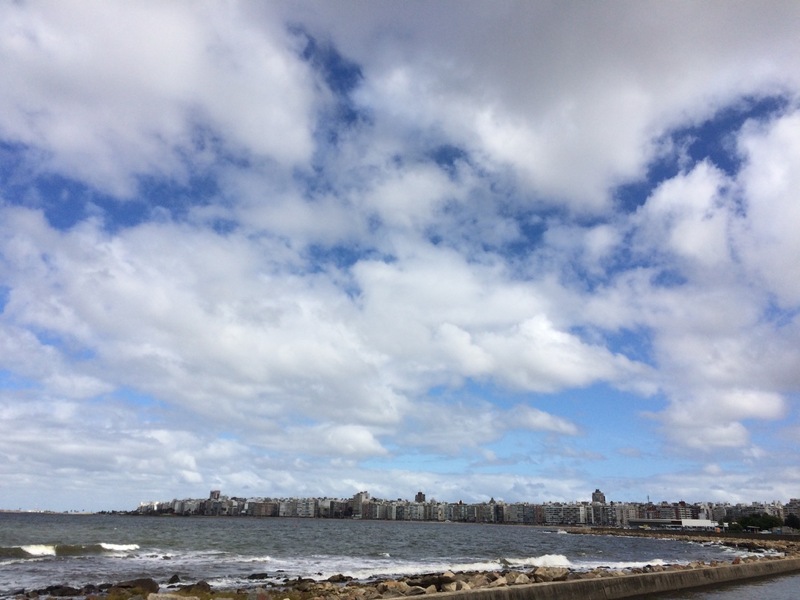 Guru’Guay – all you need to know about Uruguay and Montevideo, a blog by Karen Higgs. 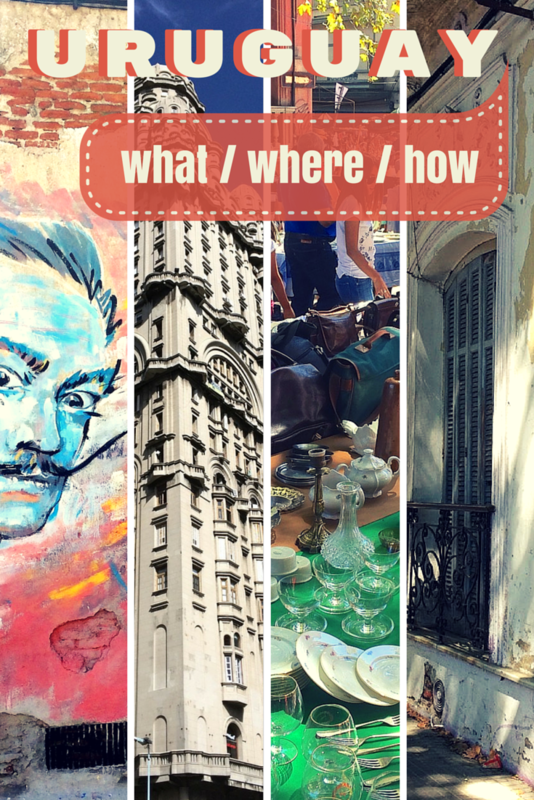 Also, Karen wrote Guru’Guay Guide to Montevideo, a 134-pages downloadable PDF. Unlike her website, the guide is not free. It costs $10. NOTE: Traveling Bytes is not affiliated nor has the financial interest in distributing this publication. I am glad you found it helpful while you were here. I’m not sure if you’ll want to include my new Guide to Montevideo for tablets and PCs which just came out this month as it is not free. However it has over 130 pages of info for just ten dollars. My website is free, so when people buy the guide, they are supporting the site too – SOMETHING needs to pay the bills, right??  Anyway, thanks for a very thorough list! Hi Karen, I apologize for a long delay with reply. I was on the road and had to minimize my online presence. Thank you very much for your kind words :). I included a link to your new guide to our list of resources (with appropriate disclaimer). Cheers, Elena. Awesome list of resources … will make good use of it when I get over that way! Hi Juergen, great to hear from you! Thanks for sharing – adding both links to the list. Cheers!